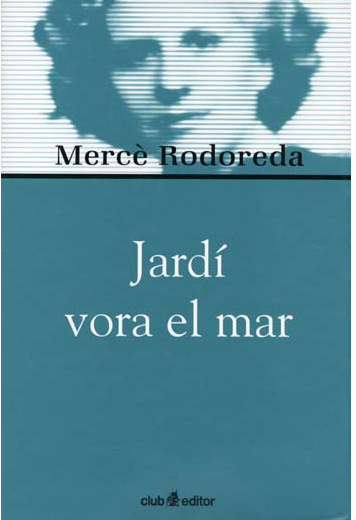 Mercè Rodoreda was a Spanish writer who wrote in Catalan. She’s most famous for her novel La plaça del diamant – In Diamond Square – (also The Time of the Doves). I’ve had that for ages but when I came across the German translation of Jardí vora el mar (The Garden Above the Sea), I couldn’t resist. Unfortunately it hasn’t been translated into English. The story is set in Spain, in the 20s of the last century. The narrator of the story is a gardener. He’s a widower and has been in charge for the garden that belongs to a villa above the sea since decades, even before the current owners spent their summer vacations in the villa. The story spans six summers, summers that change from playfulness and enjoyment to drama and tragedy. Our narrator is not only a silent witness, he’s drawn into the story as the occupants of the villa treat him like a confidante. During the first year, when the young couple, Rosamaria and Francesc, and their friends spend their first summer at the villa, things seem perfect. The young people are beautiful, rich, joyful. They swim, they party, they tease each other. The gardener watches and listens. At night he refuels in his garden. He listens to the plants breathe, enjoys the scents and colors, cherishes the loneliness. He loves to watch the young people. He has his favourites. There’s Feliu the painter who only paints the sea. Sebastia who travels in Africa and brings back a lion and a monkey. The summer when the mischievous monkey is at the villa, is by far one of the most entertaining, but some darkness already manifests. It is the summer of the monkey, but also the summer in which the construction of the neighbouring villa begins. At the end of that summer, the monkey goes missing and the young people at the villa feel like it was the last perfect summer. They already know that the villa next doors will be even bigger and more glamorous than their own. The following summer, the new neighbours move in, and the tragedy unfolds. The past has come back to haunt Rosamaria and Francesc. In the afterword the novel is compared to Bassani’s The Garden of the Finzi Continis and to The Great Gatsby. There are similarities but it might be especially interesting to point out the differences. The three novels are told by a narrator who is an outsider but while the narrators in Fitzgerald’s and Bassani’s novels circle the orbit of the rich and famous, they are still guests and allowed to take part, while the gardener is distinctly removed. All three books mourn also the end of an era. The Great Gatsby and The Garden Above the Sea are set in the 1920s, while Bassani’s book takes place in the 40s. The Finzi Contini are Jewish. Needless to say how the story will end. Gardens and houses are important in the three novels but nowhere is the garden as much a character as in Rodoreda’s novel. The afterword tells us that the author was a passionate gardener and we can feel that. The descriptions of the flowers, trees, and bushes, their changes through the seasons, the difficulties to grow them are described with so much love, only someone who loves plants could have achieved that. I’ve come across many novels, in which houses are like characters, but I’ don’t think I’ve come across many, in which the garden played such an important role. Not even Bassani’s novel. The Garden of the Finzi-Continis is easily one of my top ten favourite novels. I also love The Great Gatsby. I enjoyed Rodoreda’s book a great deal, but I only loved the descriptions of the garden. In choosing a gardener as her narrator, as wonderful a character as he may be, we stay much more spectators of the characters, are never fully immersed. We only see what they do when they are outside; we never see them interacting inside of the house. Most of the things we learn, are things the gardener himself was told by someone who heard it from someone. Seeing characters from afar, doesn’t allow to get as close to them as we would wish. Plus, the main protagonists change. Every summer, someone else gets close to the gardener, visits him in his small house. Those are the most intimate moments in the book, the ones, other than the descriptions of the garden, that I enjoyed the most. It’s not always good to compare a book with such famous novels as The Great Gatsby or The Garden of the Finzi-Continis, but in this case it helped me understand, why Rodoreda’s book left me a little cold, although it’s a fantastic book that I might even re-read some day. The review is part of Richard’s and Stu’s Spanish Literature Month. What a shame this isn’t translated in English as I would definitely have bought this. I was thinking of you when I read it. Since most of her novels have been translated this one’s turn might still come. I might tray another title. Let me know should you pick In Diamond Square. I might be able to read along. I bought Diamond Square but it’s under another title. It does have two titles. In Diamond Square is the UK title, published by Virago. I suppose yours is the US edition. Must be. The copy hasn’t arrived yet. Thanks, Jacqui. I think you’d like it. As fasr as I’ve seen most of her novels have been translated so there’s a chance. And also a chance you’d like her other books but maybe you’ve read her. I haven’t read her, but she does interesting. I’m no expert, Caroline and Jacqui, but Rodoreda is usually considered to be the best Catalan novelist of the 20th century and no less a figure than Gabriel García Márquez is on record saying he believed Rodoreda’s La plaça del diamant to be the best novel published in all of Spain since the end of the Spanish Civil War–heady praise! I don’t quite agree with García Márquez’s opinion, by the way, but I remember loving the book he raved about when I first read it about 10 years ago and would consider it a near must read in general but for fans of Carmen Laforet’s Nada in particular. Time for a reread! It would be great if you’d reread it this month. It might turn into a group read since a few people got it after this review. Since I loved Nada so much and you mention them together, I think I have to read it. I really like your analysis of how different points of view are so impactful in the understanding of characters. I am thinking just how much your observations might be to the wide world of fiction. Either way the premise of this book sounds very good and I think that I would like it. The point of view is extremely important. What Fitzgerald uses is called first person peripheral and it’s one of my favourites. The narrator who tells Gatsby’s story in the first perosn isn’t the main charcater. Fitzh^gerald was inspired by Fournier’s Great Meaulnes. Also a 1st perosn peripheral. It’s an arresting POV. 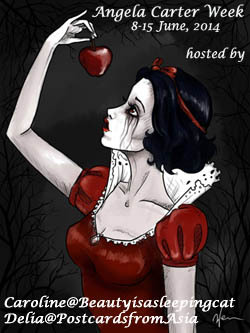 This one here is similar, only with more main characters. I think you’d like her writing. Rodoreda has been on my list for some time, but I’ve yet to get to her. It’s too bad this isn’t in English – it doesn’t appear to be in French translation either – so I suppose I’ll have to approach her from one of the other novels. But this particular one sounds appealing. “The last perfect summer” seems to be the operative idea behind a great number of novels. Before buying it in German I had a look whether it existed in French and was surprised to see it didn’t. Yes, the last perfect summer is a somehwat familiar premise but it’s done so well and she adds a lot of her own. I’ll get to another one soon. Maybe even this month. I hope we get to compare notes. I love watching people from a distance as well. I guess that’s why 1st perosn peripheral is one of my favourite POVs. In choosing a gardener, she was able to add something, none of the other books could do. The contrats between him and the lives he observes is interesting. I’m keeon on picking up In Diamond Square soon. It’s said to be one of the best novels in Catalan. You’ve read Nada as well, didn’t you? If not – that would be a novel for you. So glad to see you review this, Caroline, esp. as it’s one of the Rodoreda novels I knew nothing about. The way she handles POV in La plaça del diamant is one of the things I remembered loving about that novel, but I’m intrigued by what you say of the role of the garden here. 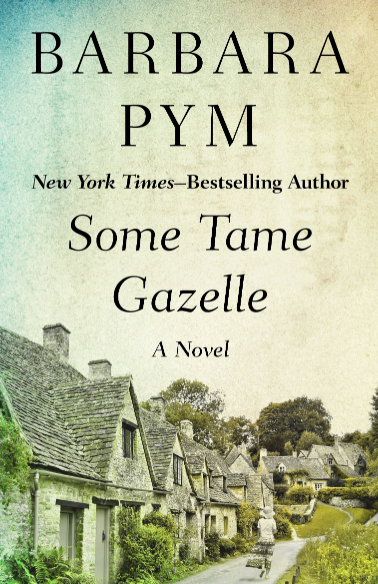 In any event, I hope to return to reading R’s Mirall trencat once I return from vacation; I had to limit how many books I brought with me on my trip across the country, but your review–despite the concerns–reminded me that it’s been too long since I enjoyed this writer. P.S. Glad to hear such praise of the Bassani novel–I only know it from the film adaptation of it! I’ve not seen the movie based on Bassani but for me it’s one of the best books ever written. I can’t think of many I liked as much. Now that you mention the POVs in La plaça del diamant, I know I’ll have to read it very soon. The garden is so important. I think I only scratched the surface of its meaning. I hope you’ll read and review it some day. Wonderful review, Caroline. Glad to know that you liked the book, though you didn’t love it. It is interesting to read the similarities and differences between this book and ‘The Great Gatsby’ and ‘The Garden of the Finzi Continis’. I would love to read the description of the garden and the way it changes during the seasons and the years in Rodoreda’s book. I can understand how the narrator being removed from the other characters doesn’t bring the characters and their stories closer to the reader. I love the title of the book. Hope you enjoy ‘Diamond Square’ more. Thanks, Vishy. I think you would like it. the descriptions of the garden are beautiful and I loved to read how the gardnere went for night walks. For a relatively short book (250) it had a lot of different main charcaters. Basically, another one per year. I would still recommend it. I do hope it’s translated soon. I love gardening so would enjoy the author’s point of view very much. Have been meaning to read The Garden of the Finzi Continis for years. Have you seen the movie, Caroline? I’m satying away from the movie as I love the book too much. But some day, maybe. Rodoreda’s book is wonderful but Bassani’s is one of a very few. Well, I’m half Italian, so I’ll always feel more connection to Italian literature, I guess. Netflix doesn’t have it, but you can rent or buy on Amazon. Apparently it’s considered one of De Sica’s masterpieces, but I will definitely read the book first. OK, that sounds promising. I han’t paid attention to the director but de Sica’s wonderful. Yes, absolutely – read the book first.